Had new barrel fitted by Derek Lees due to fibre wad getting stuck. 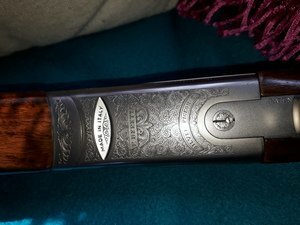 Comes with case and paperwork, only ever used for game shooting, very nice condition. 2002 model date stamped BS. Collection prefered from near Grimsby.